Filing for divorce can be the obvious end result after years of fighting or simply growing apart from your spouse. It can also come as a complete shock, with divorce proceedings initiated against you seemingly out of the blue. In either situation, it is important to take the steps needed to protect yourself and your future well-being. In some cases, there are signs that a spouse is considering ending the marriage and actively taking steps to set themselves up in the best possible position. While these signs can be subtle, they can end up jeopardizing your rights in divorce proceedings. The following are five situations you should discuss with a Fort Lauderdale divorce attorney right away. Your suspect your spouse is having an affair. Having a spouse be unfaithful in your marriage is one of the most painful things to go through. The hardest part is often the deception involved. While some couples can reconcile and save the marriage in the aftermath, for others it spells the beginning of the end of the relationship. LiveAbout warns that signs your spouse may be committing adultery include suddenly claims or working overtime or having to travel out of town, not spending time with the family, and rejecting you sexually. Money is disappearing from your financial accounts. When a spouse is secretly contemplating getting a divorce, they may attempt to use money in your checking or savings account to fund their efforts. Be alert for signs that large sums are disappearing from these and other accounts, such as cashing out investments or taking withdrawals from retirement accounts. Property is coming up missing. 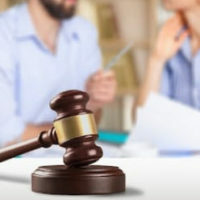 Under the Florida Statutes, all marital property earned or acquired during the marriage is to be divided on an equitable basis between the spouses, taking into consideration factors such as each party’s earnings and their contributions to the marriage. It is not uncommon for a spouse who is considering a divorce to attempt to either hide or give away valuables and personal belongings. You are separated and your spouse is not paying support. In some situations, spouses need some space while they attempt to work out the differences between them. While this can be a worthwhile endeavor, it does not release your partner from financial obligations to you or your children. The breakup of a marriage is not pretty and arguments can quickly escalate. However, if it gets to a point of physical violence or where threats are being made, you need to report these incidents to law enforcement officials and get help immediately. At the law firm of attorney Vanessa L. Prieto, we can provide you with the legal guidance you need in any of the above situations. In many cases, there are concrete steps we can take to help ensure you and your rights are protected. Get the help you need and contact our Fort Lauderdale divorce attorney to request a confidential consultation today.